It is no surprise that TACTICS is the key to winning chess games all the way up to 2200 elo. If you are under 1800 rated, tactics is absolutely must study element! Many chess players don’t have the foundation that they can build upon. Fundamental tactics is a HUGE part of that foundation. Not only you need to understand tactical elements, but you also should be able to apply them in your games. That’s where majority of chess players struggle. They know what pins and forks are, but they miss the bigger picture: how it all works together. That’s because masters perfected those elements and see the patterns. They see the big picture, not just pieces. They see the painting, not just the brush strokes. By learning tactics fundamentals you will start seeing it too. If you were losing games because of tactical oversights this is your instant cure. If tactics isn’t your strength… this course can change that. 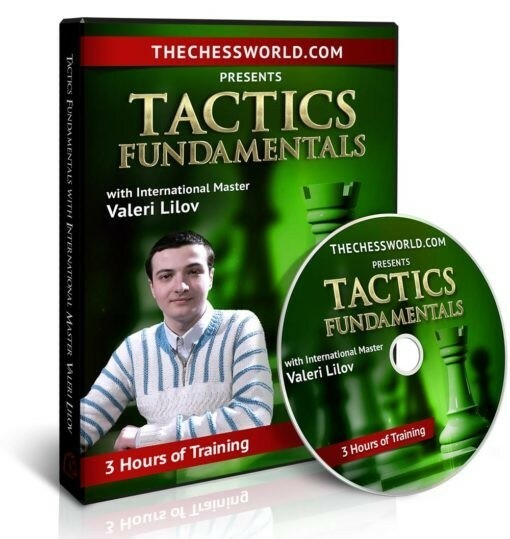 This course is something that CAN and WILL make all the difference in your chess by making you a much stronger tactical player!